Simple to use, yet sophisticated in performance, the AIMCO Signature Series tools provide the high performance required to meet the needs of today’s cordless tool applications. 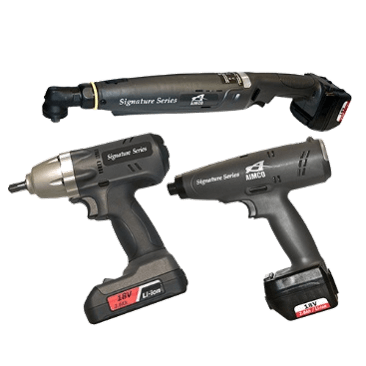 Signature Series cordless tools provide repeatable torque performance ranging from .6 to 88.5 ft-lb (.8 to 120 Nm). Ergonomic handle design provides optimal balance and comfort to the operator.